The U.S. Department of Education has awarded Cal Lutheran almost $6.1 million over five years to encourage Latinos and low-income students in Ventura County to stick with majors in science, technology, engineering and mathematics (STEM) all the way to graduation. The university became eligible earlier this year to apply for the grants as a designated Hispanic-serving institution. Two grants were awarded in September. 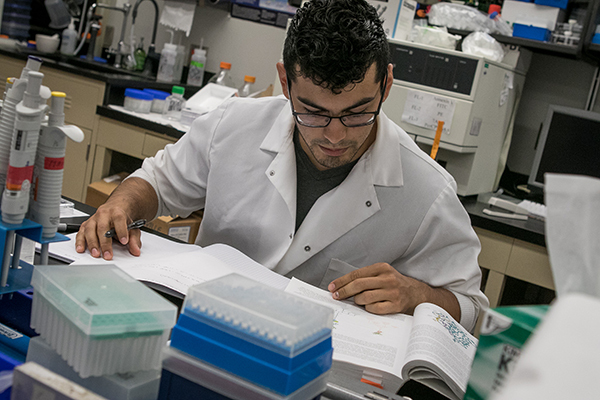 One worth $4.63 million over five years will support STEM majors at Cal Lutheran with paid fellowships and internships, a three-week summer program for incoming freshmen and transfer students, and a new campus hub for services to STEM students. The university will hire five new staff members and create an endowment for research fellowships to continue beyond the term of the grant. The university will receive an additional $1.46 million over five years for collaborating with Oxnard College on its STEM program. Taken together, the initiatives serve as a kind of coordinated response to the question of how the university can not only enroll Latino students in STEM fields, but really serve them. Latinos, who make up 28 percent of the university’s STEM students, historically have graduated in those majors at a lower-than-average rate, with consequences for their lifelong earnings and opportunities. Today, scholars know a lot about why this occurs, and ideas for structuring the grants to address the issues poured in from faculty members and administrators. It fell to a relatively new staff member, Kelly Owens, director of the Office of Sponsored Research and Projects, to integrate their different perspectives into the multiyear proposals. Owens, who holds a doctorate in urban studies, became an expert grant writer while working at the Congressional Black Caucus Foundation and the nonprofit Inroads, which promotes diversity in the corporate world. She has also served as residence hall director at Howard University and taught at another historically black college. Her experience and research tell her that universities can do more to save underrepresented students from becoming the ones to drop out of highly competitive academic pursuits. Even as they target certain students, new programs like expanded peer tutoring and student-led review sessions will benefit everyone who takes science and math, including non-majors. students who are interested in STEM fields to transition to Cal Lutheran.